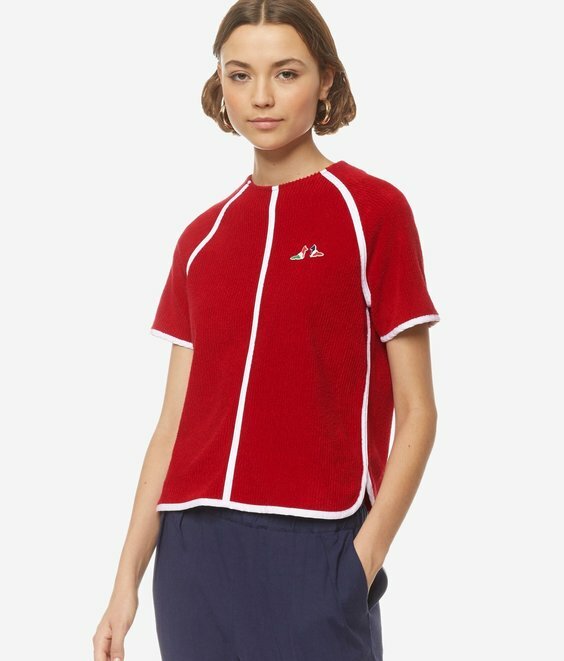 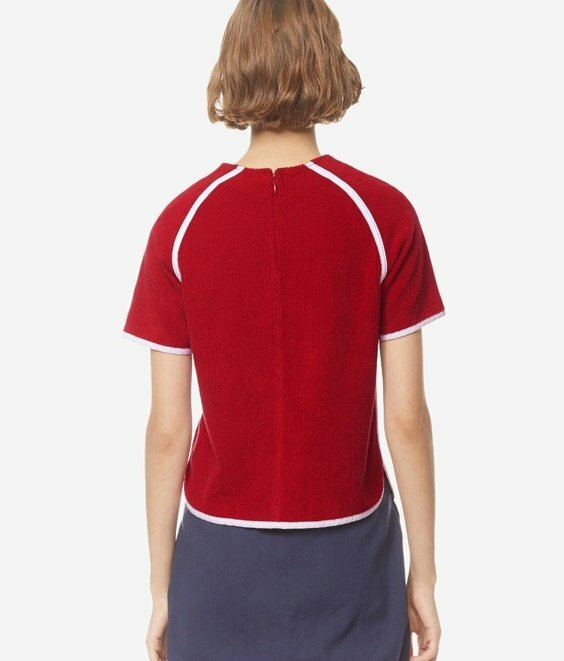 This MAISON KITSUNE T-shirt has been redone in a terry cloth knit. 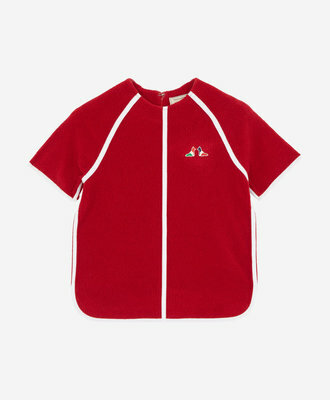 It is designed with short raglan sleeves and a round neckline. 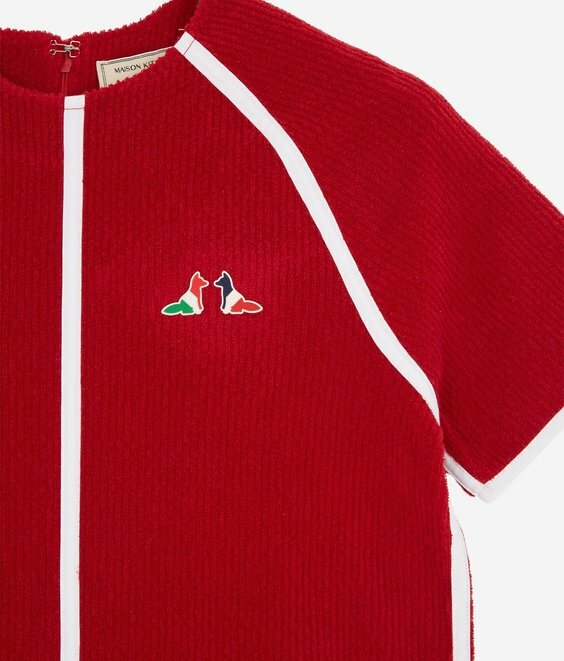 Enhanced with braided trim and cotton bias, this T-shirt features embroidered red, white, and blue fox patches on its chest. 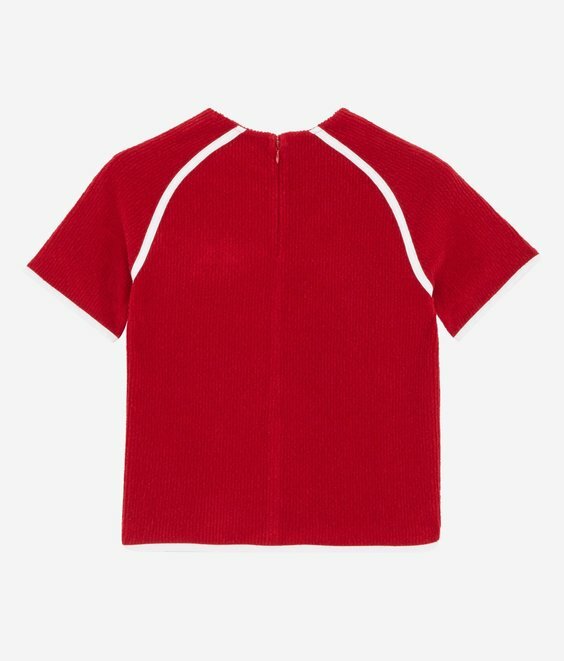 Round front base and invisible zipper in back.